February Foodie Pen Pals! | Chip Chip Hooray! Happy almost-end-of-February! I can’t believe March is upon us, although I’m more than ready for it to really be spring instead of this weirdo game of chicken we’ve been playing with winter for the past three months. Today also marks the first Foodie Pen Pals reveal post I’ve participated in! Lindsay over at The Lean Green Bean started this fun exchange in which interested foodies send a care package of goodies to their designated “foodie pen pal” every month–and get a package from someone else, too! What makes it even more fun is that the pen pals exchange an email or two at the beginning of the month to get a sense of their recipient’s interests, likes, dislikes, allergies, etc.–it makes the final goodie box so personal! 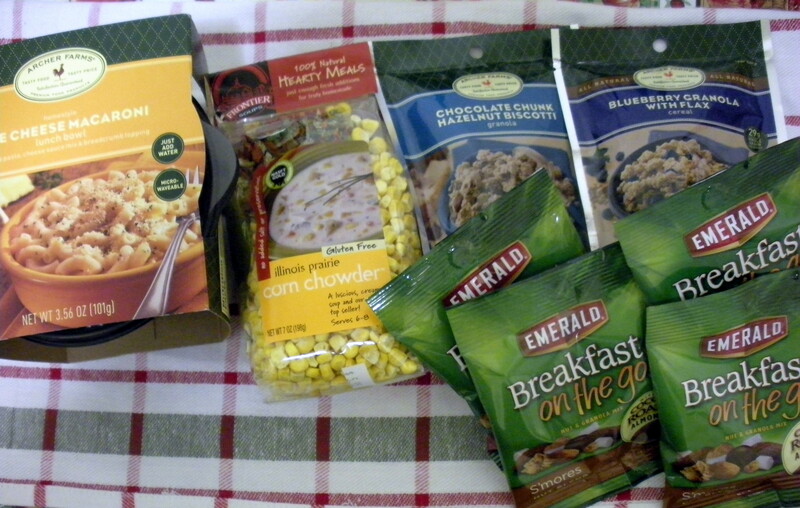 This month, I was lucky enough to receive a Foodie Pen Pals box from Elle over at the College Girl’s Guide to Life. I loved perusing her blog and finding out that she and I share a (perhaps inordinate) love for Taylor Swift, not to mention oats in jar for breakfast. I think she’s going to be a pretty awesome teacher! She’s certainly an expert care package creator. Check out my loot! The mac ‘n’ cheese on the left made for a great meatless lunch for a Friday at work! 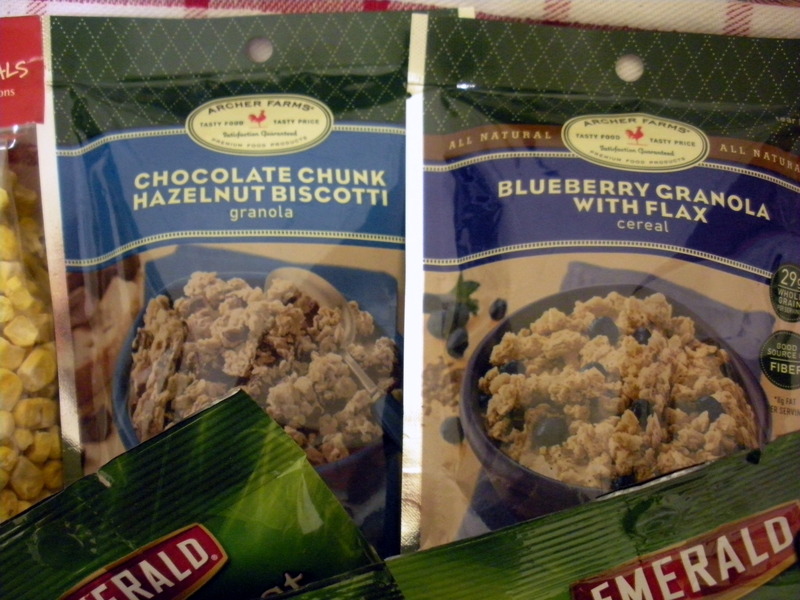 I can’t wait to try these granolas with milk or yogurt! I think they’ll make for extra tasty breakfasts. 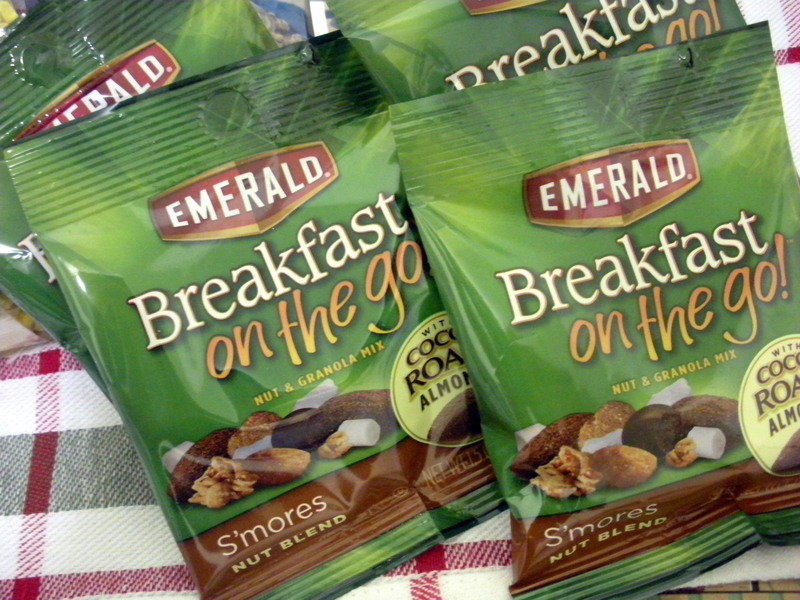 S’mores flavored nut blend?! This girl knows the way to my heart. But the thing I was most excited about? Oh just take a look. Hello, you beautiful beautiful cookies. If you had a chance to take a look at my College Town Tour, you know that one of my absolute favorite spots near Villanova was this fabulous place called Great Harvest Bread. So imagine how surprised–and beyond thrilled–I was when I opened my package to find five giant cookies from Great Harvest sitting right on top?! The one in the picture above is a peanut butter M&M (monster) cookie, but beneath that were three dreamy, chewy toffee chocolate chip cookies. I am a girl obsessed. I can’t wait for next month’s exchange! 🙂 Head on over to Lindsay’s blog for a roundup of all our Foodie Pen Pals posts. This entry was posted in Blogger Events and tagged bloggers, cookies, foodie pen pals, great harvest bread by chipchiphooray. Bookmark the permalink. 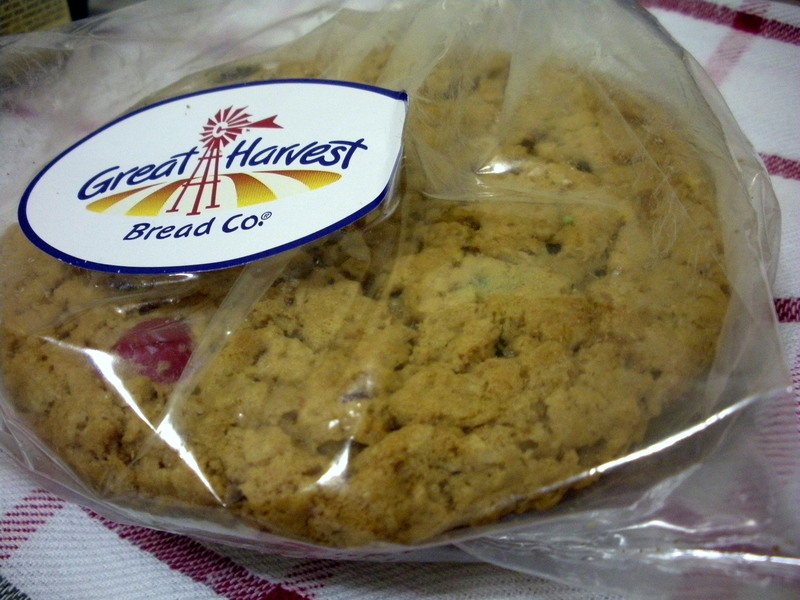 I LOVE Great Harvest cookies! yum! I need to try this breakfast on the go! You got some fun goodies! I love the archer farms brand. And I’m with you on that cookie. I’ve been staring at that for the past 5 minutes and thinking about how I can make those cookies at home right now. So far, I have not been successful. Ooo I need to shop at Target more. Their food brand makes some good stuff. omg totally intrigued by those breakfast on the go packs! need som! S’mores flavored trail mix?! I’m in. Big time.